How do I delete the whole workflow content of PROJETEX at one stroke or to reset the whole program into the original state. All your workflow data is stored in the folder C:\Program Files (x86)\Microsoft SQL Server\MSSQL12.P3D\MSSQL\DATA In order to reset all information, manually delete this folder and reinstall Projetex 3D. 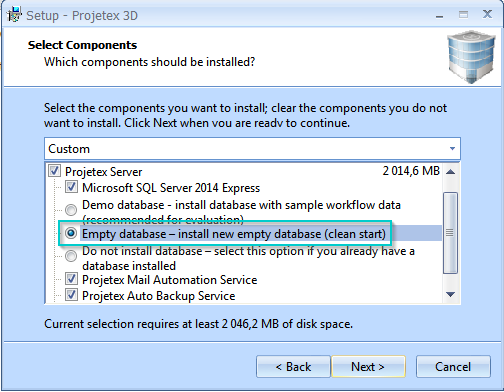 During installation, please select "empty database". This will create an empty Projetex database.